Fridays are good. They are even better with cupcakes. 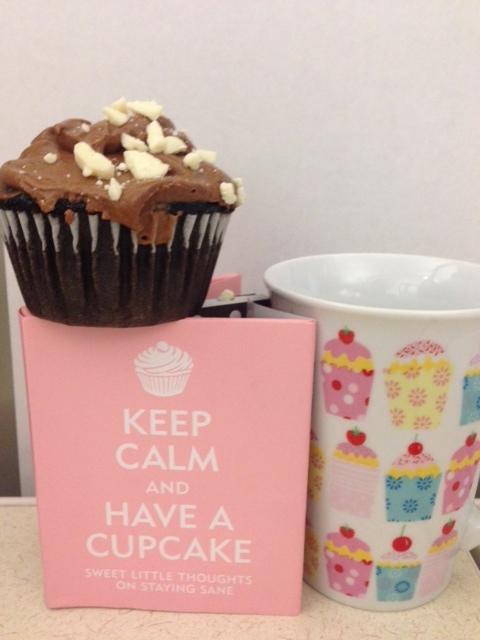 It is cupcake Friday in the office. I love watching people eat cupcakes. Everone has their own special way of eating them. Some folks lick away all the frosting first…some cut the cupcake up into little pieces. Some folks are two biters…whole cupcake gone in 2 bites. Some savor every little bite…some folks moan…then you have Tania, a gal in my office, who always turns her cupcake upside down onto her plate and eats it that way. So funny . Ive seen people twist the top off, turn it upside down so the frosting is sandwiched in between. Hahahahah. There are the mooshers who just mash up the cupcake and the frosting all together into a gloppy mess. 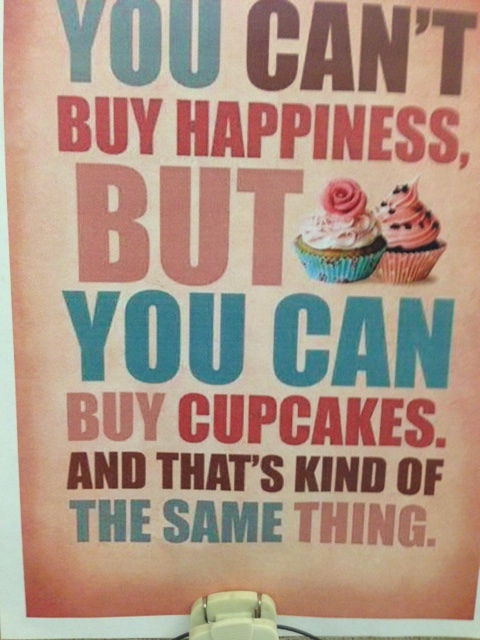 Then you have the people who have to have 2 cupcakes…it’s either 2 or nothing. There is even someone I know, who eats just the frosting and tosses the cake part away! But the funniest thing I have noticed is that there are a lot of men who get all weird about cupcakes. I guess to them, it’s just not “manly” to eat a cupcake. haahahah THAT cracks me up. Remember that old saying years ago……Real Men Eat Quiche….it should now be Real Men Eat Cupcakes. I Guess its only fair that I share MY way of eating a cupcake….always with a spoon and I dig from the middle first. Sometimes I just eat the middle and toss the outer part away. Yep….wierd I know. If you have an interesting technique to eating cupcakes, share it with me!! To my friend Brian L: here is one of the chocolate frosting recipes you were trying to get out of me. Enjoy. Mix the sugar and cocoa together in the mixer. Add butter and cream. Whip till fluffy. 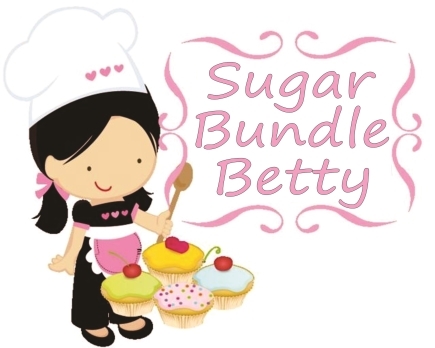 If it is too soft, add more confectioners sugar. If you use whipping cream and the cupcakes are not eaten right away, you gotta put them in the fridge. I had some chicken. I had some mushrooms. I was all set to make a pasta dish, but at the last minute I decided to make an Asian dish. I made a pot of gohan….that’s RICE, in Japanese. 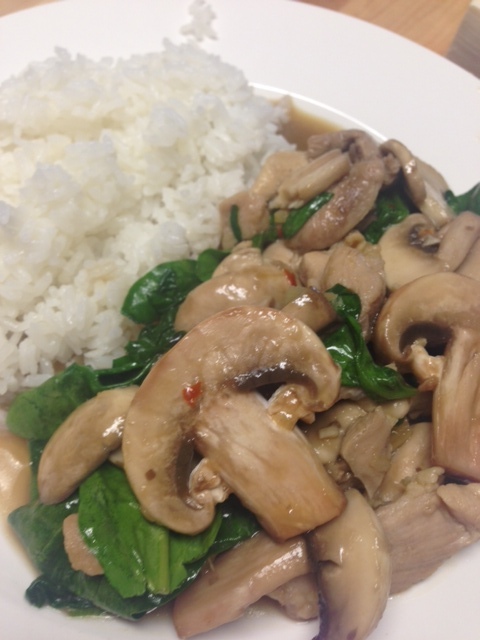 This dish is just so much better than the chicken and mushroom dish that I have had at Asian restaurants. It wasn’t loaded with MSG either!! You can throw in whatever you want, but here is what I did. Oh, and as I have said before, I absolutely LOVE fresh ginger….ginger in everything! 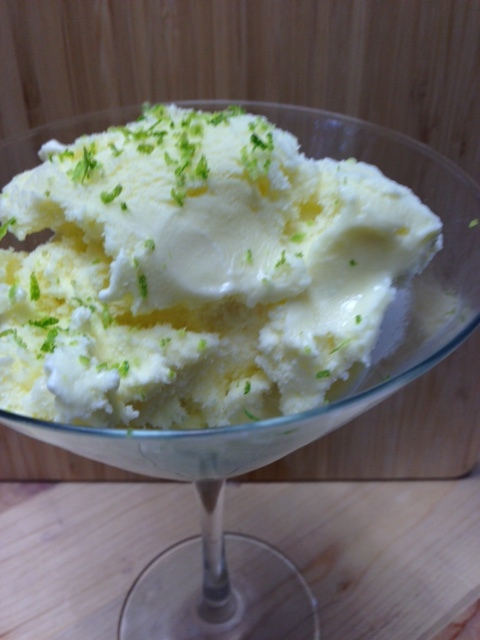 Oh, and ginger with lemon….YUM. So, of course this dish is loaded with ginger. Did you know that ginger is very good for you? It really is…..so I suggest you start using it! Sorry, that sounded a bit bossy didn’t it? Ok, PLEASE start using it. You will love it. I even brew ice tea with it! Ok, back to my chicken dish. I hope you will try it. Cut up your chicken in bite size pieces. Toss the chicken with the corn starch and set aside. In a large skillet or wok, add a couple tablespoons of oil. On medium heat, saute the garlic, ginger and pepper flakes. Add the water and stir. 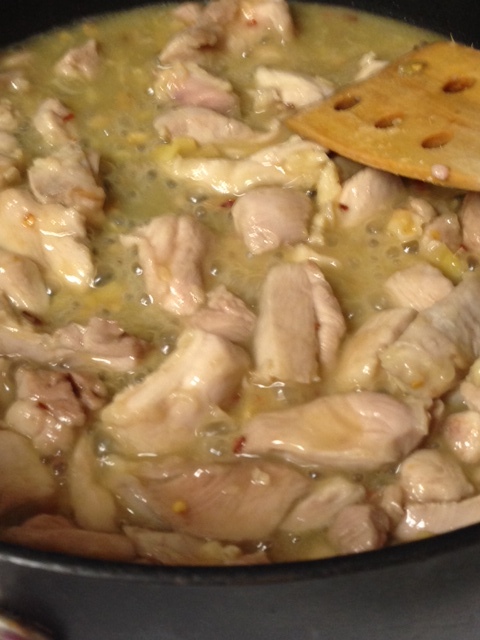 Add your chicken and stir until the chicken is fully cooked in the slurry. At this point, add mushrooms and spinach. Toss just until the spinach wilts. Add the lemon juice and soy sauce. Serve with hot rice. Summer is coming…that means warm weather…sunshine…..and ice cream and popsicles!! YAY! Sunday I thought I would practice for summer and I made popsicles and ice cream. My wonderful daughter got me some really cool popsicle molds for Mothers Day. Oh boy, oh boy. The possibilities are endless, I tell ya. I knew exactly what I wanted to make first. 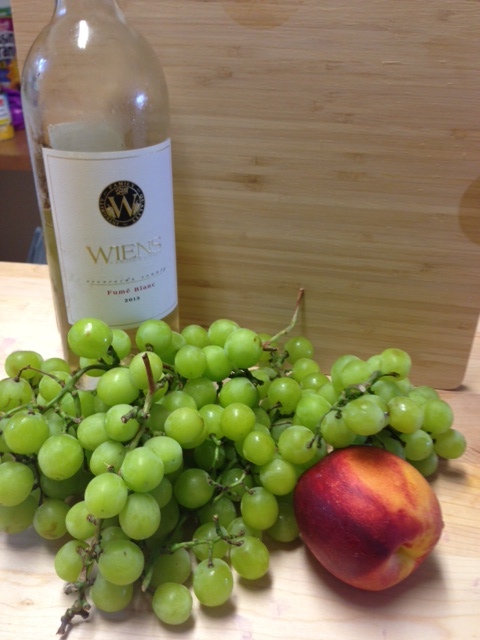 I had a wonderful bottle of wine…..Flume Blanc….from my favorite Winery in Temecula….WIENS. 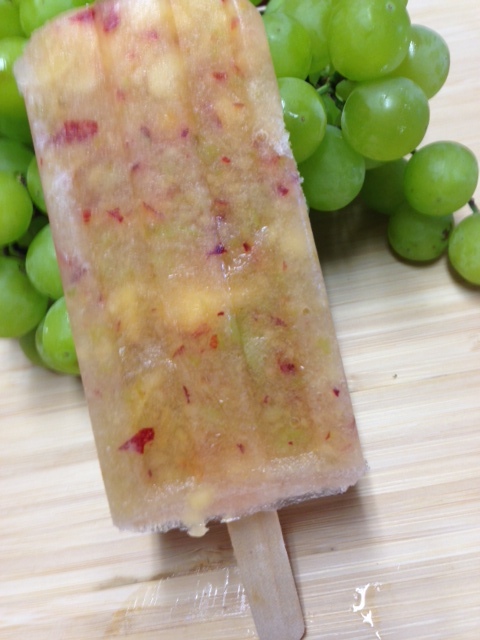 I made a white wine-grape-nectarine popsicle. OH MY, OH MY. They are like a frozen sangria, full of luscious, juicy fruit and a crisp delicious wine. YOU MUST MAKE THESE. CHEERS!! 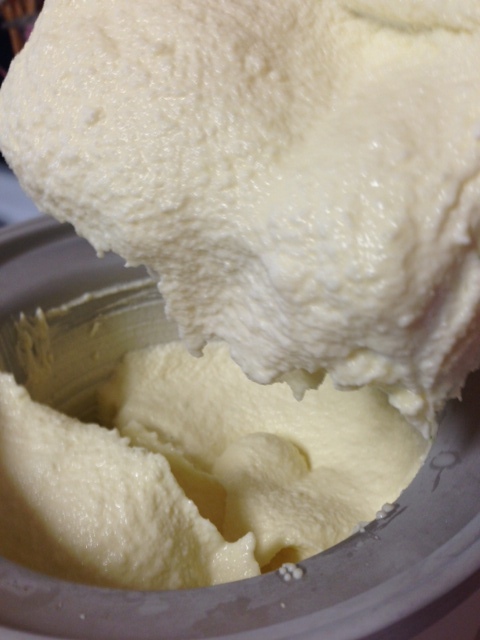 Oh, and then I made my favorite ice cream in the whole world. Fresh Ginger and Lime. I had ginger ice cream for the first time last year, in Kauai. I LOVE ginger and use it for everything…..even in my ice tea. This ice cream tastes like summer and of course reminds of Kauai. If you like ginger, you will love this. You are all most likely going to get sick of seeing popsicle posts as summer draws near, but bear with me ok?? I know you’ll be making your own in no time! So, go buy some popsicle molds and get going. 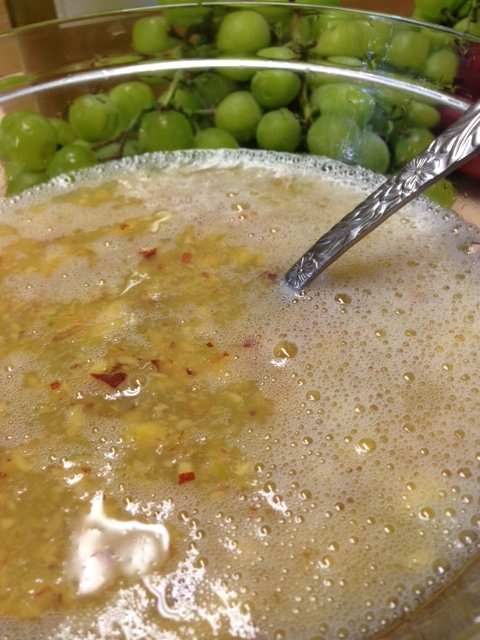 Put the green grapes and nectarine in a food processor and pulse until it’s almost liquid. (I left it kinda chunky) Pour this into a bowl and stir in the wine. Pour into molds and freeze. If you don’t have molds, use an ice cube tray. Just freeze half way, put in a popsicle stick and freeze till solid. Simple as that! I prefer my fish raw………as in sashimi or sushi style. But I also love fish that is cooked. I love to fish…I love to buy fish…..I love when friends who fish, give me fish. Fish is good. There are so many ways to prepare fish. OH!! I recently saw an article on 60 Minutes about salmon farms. Oh my gosh, did you see it? Uhhh, it was a little concerning. Especially since salmon is a favorite fish of mine. Ewwwww, I think I should not have watched that show. Ignorance is bliss, as they say! If you can find it on line, you may want to watch it! Anyway, I got off my subject a bit. 🙂 Anyway, as much as I love beef, which is most of the time, sometimes I really want fish. My favorite is salmon…or no…wait…maybe it’s yellowtail, or maybe even sea bass….nope, its halibut…well but then there is bluefin….but ahhhh, let’s not forget albacore! I love albacore. But I like that one served raw…oh yes, with some wasabi and soy sauce. M-m-m-m-. Oh gosh, too many fish in the sea, I tell ya! I used tilapia here in this recipe, but you can use any type of fish. A milder fish is good for this dish, because it absorbs all the juices from the tomatoes, garlic, lemon, and butter. Serve it with some fluffy wild rice and you will want to eat the whole pan. In a large skillet, melt your butter over a medium heat. Add olive oil, garlic and tomatoes. Toss around until your tomatoes start bursting. I love when they do that! Remove the tomatoes and set aside. you should still have some juices in your skillet. If not, add a little more butter and oil. Add the lemon juice and soy sauce. 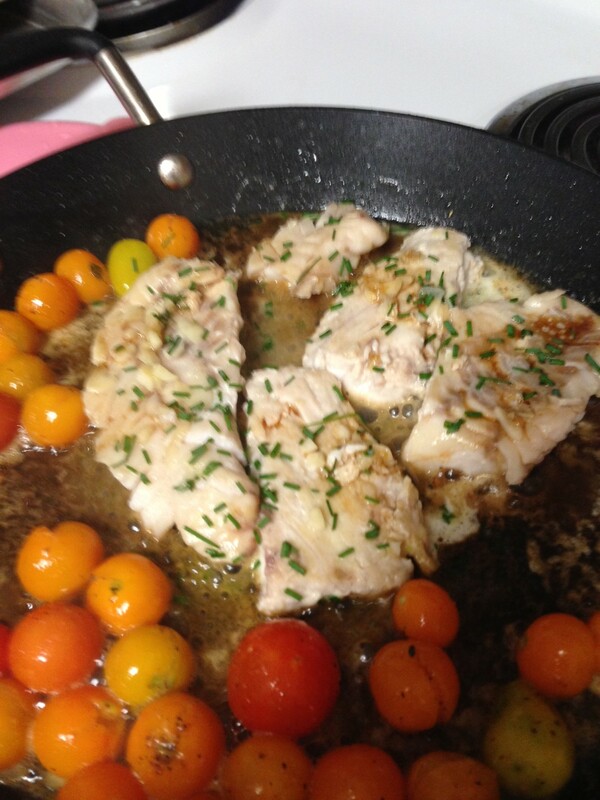 Slap your fish into the skillet and just before done (nice and flaky), put the tomatoes back in. Once the fish is cooked through, remove everything and serve with rice, angel hair pasta, veggies….whatever you want! Oh my gosh…….you know how Oprah has her “my favorite things” shows? You know how you come across something that you just HAVE to share with everyone you can think of? Well, this is one of those things. I recently discovered them at a chinese restaurant. 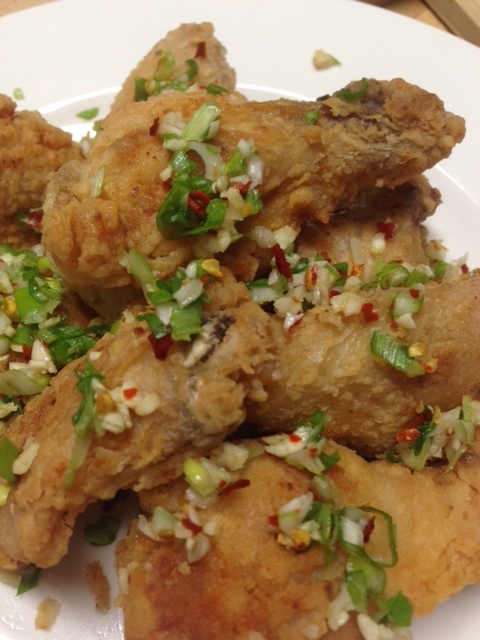 Salt and pepper chicken wings. I want to tell everyone I know about these wings! If I could, I would make them for all of you out there reading my blog. They are simple, quick and now a favorite of mine! My sister and I have always been chicken wing fanatics. When she sees this post, she is going to go NUTS. Sam: “6 wings should be plenty for 3 people”. You must make these. Make a lot of them and share them with the world!! 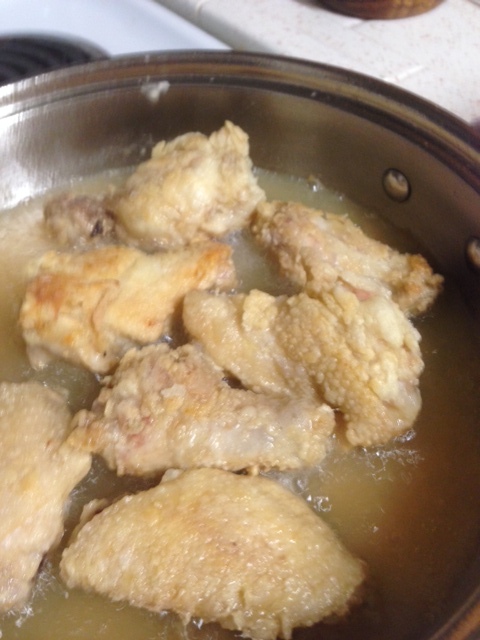 Mix the 2 dry ingredients together and coat the wings. Fry them in hot oil till brown and crispy. Remove from heat and place on paper towels to drain off the grease. 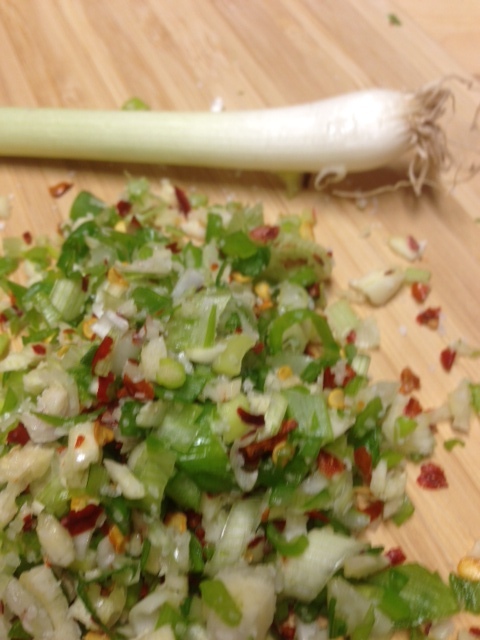 While the wings are frying away, mince up the onion, garlic and chile. Mix in some salt. Sprinkle this mixture ALL OVER the wings. Enjoy!